I was taught never to write in books. In high school when I was reading the classics for English class, the comments scribbled in the margins by previous students irritated me. I even hesitated writing my name inside the front cover of books. 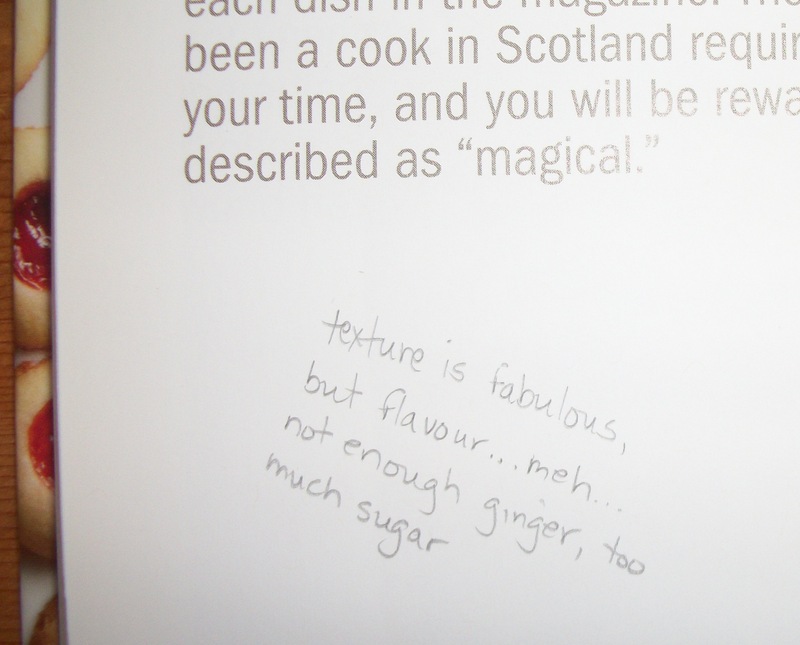 I still don’t generally write in books, but when it comes to cookbooks, I’ve realized that writing in them is necessary. 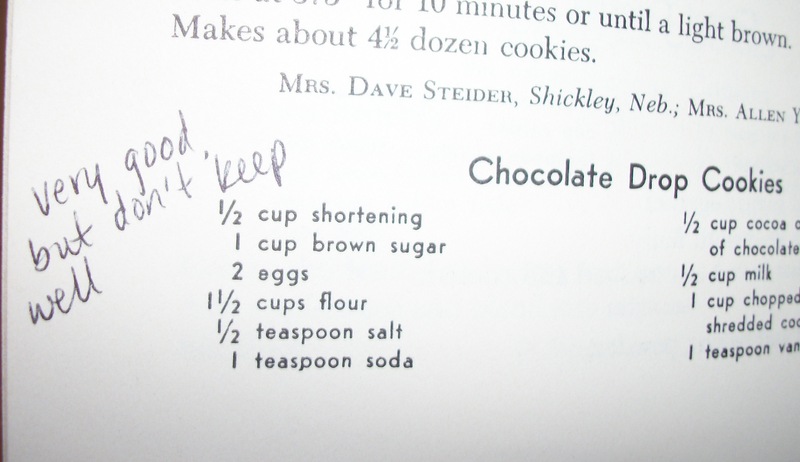 How else will I remember if a recipe is worth making again? How else will I remember that this scone recipe is too wet, and requires an extra ¼ cup of flour, or that that cake recipe is better with half the sugar than called for? 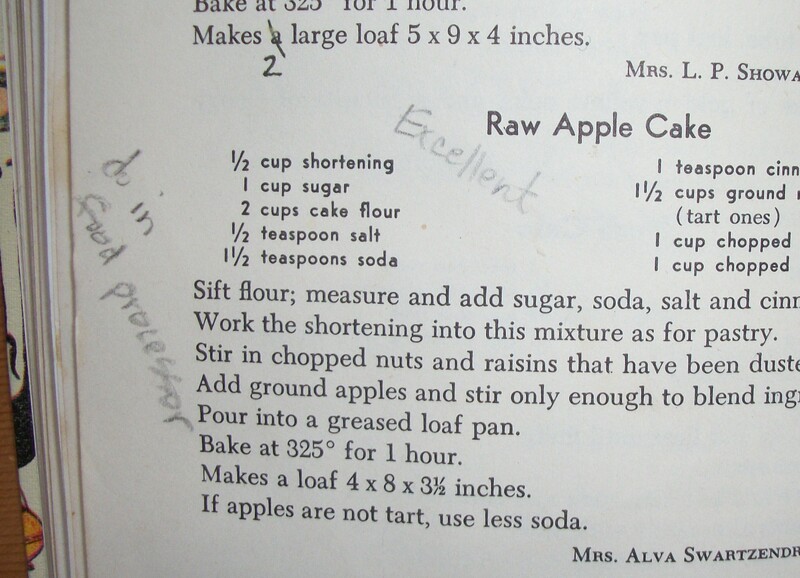 Or that the pumpkin pie recipe in the Mennonite Community Cookbook is much better than the one in Fanny Farmer? My cookbooks are full of my scribbles in the margins, my temperature and weight conversions for American recipes that don’t provide the metric counterparts. The notes help me improve a recipe every time I make it, and remember what I’ve done when I’ve finally perfected a recipe.